Ahead of the buying season, inventory issues are showing no signs of subsiding. According to the National Association of REALTORS® (NAR), existing inventory is at a 3.4-months supply, dismally down 9.5 percent from last year. New inventory is at 5.7 months, the Census reports. Although builders are confident and ground-breaking looks promising, the deficiencies persist. The biggest challenge for the majority of Power Brokers in RISMedia’s 2017 Power Broker Survey? Lacking supply. 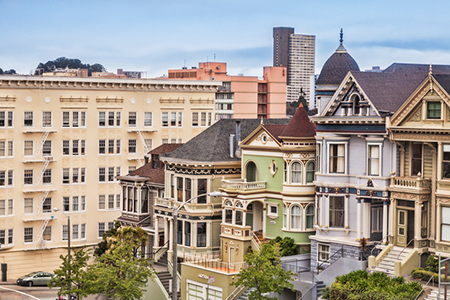 Against climbing costs, labor limitations and regulation, builders are building—and according to an analysis recently released by Trulia, comparatively, construction is kicking up the most in one headline-making market: San Francisco. In 2017, The City by the Bay began to build further than any other market. Comparing the annual average number of permits from 1980 to 2016 with 2017’s number of permits, San Francisco approved 94.6 percent more permits last year—6,270 total. Approvals amped up in the latter part of the year—they were just 41.9 percent above the average halfway through 2017. Does its No. 1 finish indicate inventory relief is on the way? Likely not. Over 90 percent of permits were primarily for rentals (multifamily), which contributes to the rental stock. For homeowner housing, affordability constraints are continuing. Additionally, the analysis found a link between comparatively high permits and the construction of multifamily units—illustrated in markets like San Francisco. In essence, building “up” versus “out” correlates to a higher likelihood of more permits. Cities with growing incomes and jobs—factors that ignite interest from out-of-towners—and prices are also likely to have more permits. Although historically San Fran is tops, relatively, it lags markets that also had a high number of permits, like Austin, which approved 79.5 percent more permits last year for roughly 25,800 total units, and Nashville, which approved 63 percent more permits for roughly 19,300 units. Austin, however, is not No. 1 in terms of volume—that distinction goes to Dallas, which came out far in front with more than 47,000 permits. Houston is No. 2, with nearly 43,000. Adding homes has an impact on new and pre-owned supply. Buyers generally have to offload their current home in order to buy a new one, and, when they do, their current house becomes part of the pre-owned pool. The buyer of that home, in turn, may have a house of their own to sell.